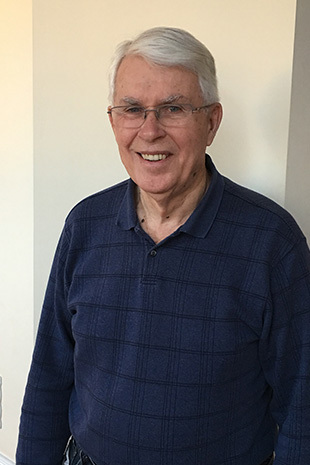 More than a decade ago, Fellow Donald Rea partnered with AAAS to match retired scientists with classrooms in Washington, thereby launching the Senior Scientists program. Now, the program not only has nearly 200 scientists in nine school districts in the D.C. area, but it has led to six similar programs nationwide. The program also recognizes exceptional scientist-teacher pairs with the Outstanding Teacher-Volunteer Partnership Award. 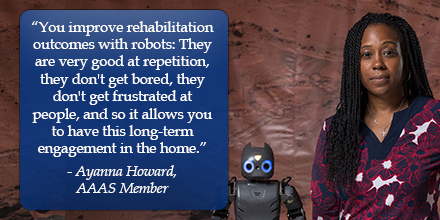 The AAAS members have helped many students better understand concepts and connect what they're learning in the classroom to the outside world. These esteemed volunteers don’t interfere with the teachers’ lessons, but instead assist them in enhancing the learning experience for students. Having scientists in the classroom is especially important given some changes in STEM education. 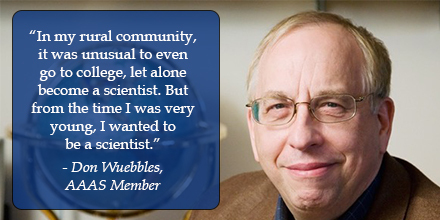 Rea thinks veteran scientists may be the secret to success for "problem-centered" learning. "This approach is quite new to most teachers," he said. It's one thing for a teacher to talk about only the information that's in a textbook. However, the "problem approach" usually gets kids asking lots of questions and seeing problems from different angles. "[This process] is something that STEM professionals are used to doing in their careers. So it’s natural for them to support teachers who are using the 'problem approach'." Senior scientists encourage students to get involved in the material and explore questions and answers that may not be in a standard textbook. That said, the experience can still be challenging for many scientists. Rea notes that most volunteers are in an environment that’s different than what they’ve been used to, so they need to adjust. However, he believes the challenges are worth it. “Working with the students can be very stimulating and also very satisfying," he said. Giving back as he does, by both donating to AAAS and volunteering through AAAS, can be very rewarding. 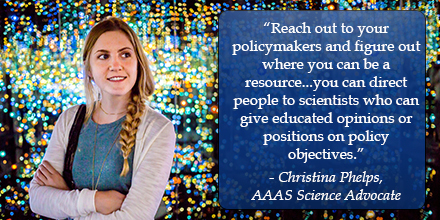 He added that he hopes the Senior Scientists program can connect many more experienced scientists with aspiring students: “I would love to see…AAAS members around the country start up their own programs."